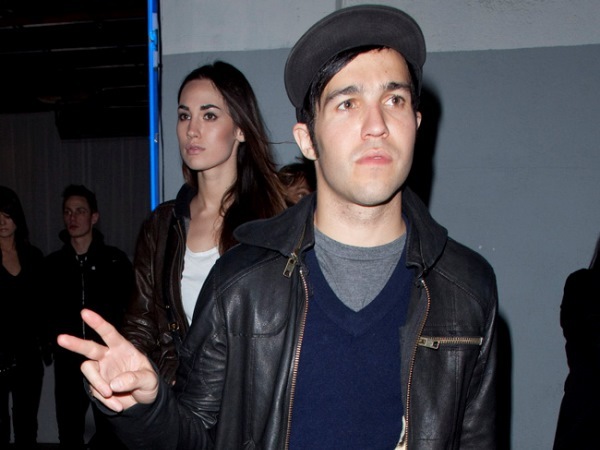 Pete Wentz and his girlfriend Meagan Camper talk about getting married a lot and he feels very lucky to be with her. The Fall Out Boy rocker, who split from Ashlee Simpson, with whom he has a five-year-old son Bronx, in early 2011 after three years of marriage, is thinking about tying the knot with his model girlfriend in the near future. The 34-year-old bassist told The Wendy Williams Show: "We talk about [marriage] a lot. I feel really lucky. It's really interesting when you're in a relationship with somebody who's truly my best friend. I talk to her about everything. "She will tell me when I'm being not so insane, and sometimes she's like, 'You're being a little bit insane.' So, it's very helpful." Pete is very attracted to Meagan and thinks she is too good-looking to be with him. He joked: "I'm looking at this picture, and I'm like, 'Wow, it's insane that she hangs out with me.' It's like, 'Hot girl pictured with homeless man!'" Ashlee (29) recently announced her engagement to Diana Ross' son Evan (25) after seven months of dating. The couple got engaged while enjoying a New Year's holiday in Hawaii.